For over a decade many in-the-know European travellers have been making the Thai royal resort town of Hua Hin home, or at least a great place to escape their bitterly cold northern winters. For Aussies and Kiwis, Hua Hin hasn’t been on their radar, perhaps because it doesn’t feature highly on main tourist or backpacker trails. 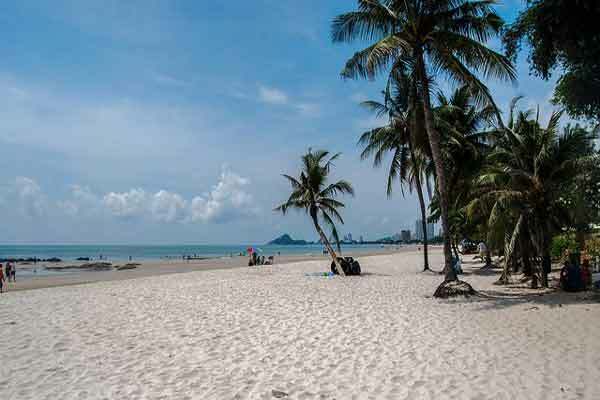 For many of the expats living there, that’s a big part of Hua Hin’s appeal. Today Hua Hin is home to about 110,000 souls (the district is 838.9 km²) and an estimated 10,000 of those are expats living full-time or part-time in the region. Although Hua Hin is a smaller scale coastal resort town, expats and visitors do not want for anything here. It offers an excellent range of low cost to luxury housing, a laidback and active lifestyle, plenty of entertainment, world-class healthcare facilities, diverse shopping options and services to make living easy for expats. Oh, and don’t forget the food. You’ll find restaurants to satisfy every taste and budget with many featuring freshly caught local seafood. Once a quiet fishing village, Hua Hin became a popular summer getaway destination for Thais in the 1920s, when the Royal Family built their summer palaces there. The Royal presence ensured well-developed infrastructure, making it an excellent holiday escape from the sometimes stifling heat of the capital, Bangkok. Hua Hin is located on the western side of the Gulf of Thailand, about three hours’ drive south of Bangkok. The city runs parallel to the beach which stretches from the city centre for six kilometres south to Khao Takiab. A further seven kilometres south will bring you to the quaint village of Kao Tao and beyond that to Pak Nam Pran and Dolphin Bay. 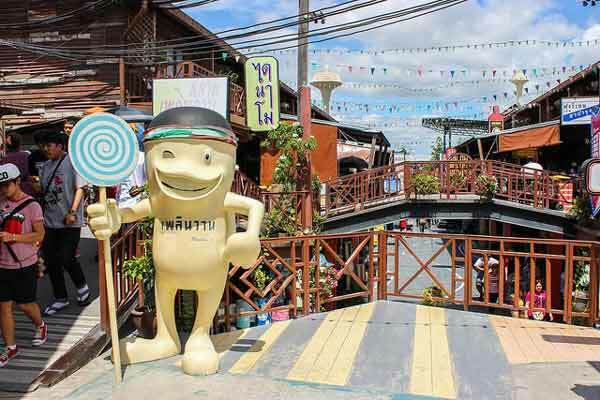 To the north is Cha-Am, popular with Thais for beach holidays and weekend getaways and with expats seeking a quieter lifestyle. There is a lot to like about Hua Hin. You can chill out beach or poolside or take part in any of the many sporting and social activities on offer. Sticking to a healthy diet is easy here thank to the abundance of fresh produce direct from markets at a fraction of the cost you’d pay in Australia. 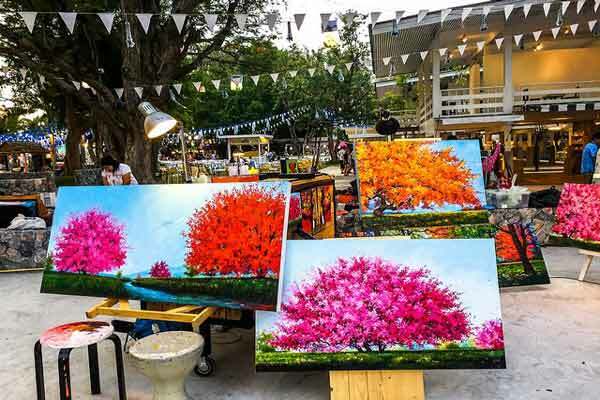 While there is a sizeable number of expats living in Hua Hin, it’s not overrun and maintains a delightful mix of traditional Thai living with Western conveniences. Housing options include luxurious beachside living or drive just a few kilometres out of town for a more rural setting—and more affordable options. If golf is your game, you’ll have nine quality golf courses to choose from here, including several at international competition standard and all within 30 minutes’ drive of central Hua Hin. You can also enjoy tennis, badminton, yoga, Muay Thai, fishing, bird watching, exploring nearby national parks where elephants roam free and shaping up with fitness facilities to suit every preference and budget. Watersports including kitesurfing, paddle boarding and surf skiing are readily available. Add to that, two sizeable modern water parks to keep fun seekers, young and not so young, entertained all day. Regular cultural events happen across the calendar year and include important Buddhist celebrations like Loy Krathong, Songkran (Thai New Year) and Visakha Bucha Day. Each celebration is treated with respect, colour, ceremony and fun; synonymous with the Thai approach to life. Hua Hin has an artsy side as well. The Artist Village, a co-op for local artists, offers classes for anyone wanting to learn new skills. Founded in 1998, each resident artist has their own space to work in and to sell their art. An increasing number of galleries are also opening in and around the old town. And on weekend nights, the Cicada Market showcases locally made crafts, live entertainment and, of course, fantastically tasty cheap Thai eats. Shopping presents an abundance of super fresh fruit, vegetables, seafood and meats and all the necessities for your pantry from fresh Thai style Local markets through to gourmet supermarkets. On the outskirts of town, large new home-improvement centres offer all your home furnishings needs. The two main modern shopping centres have multiplex cinemas and entertainment areas including bowling alleys. 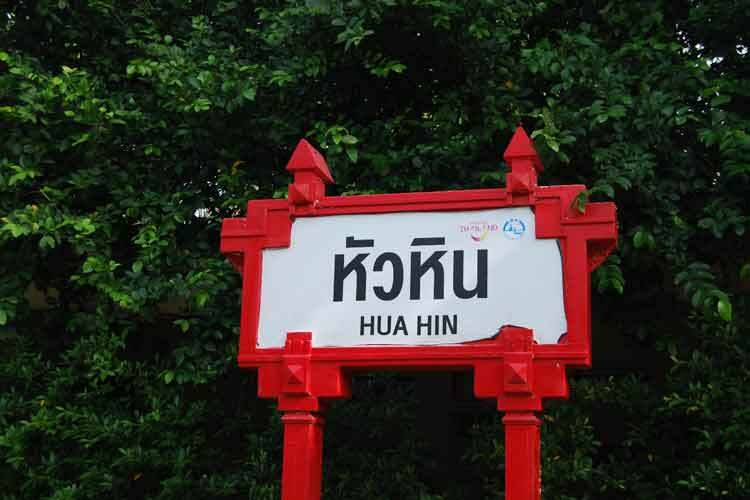 Hua Hin is about 200 kilometres south from Bangkok and can be reached by car, bus and train. Hire a private, air-conditioned car for around $50 or take the perfectly comfortable bus for around $10. There is also onward travel by bus and train to the south, including to Malaysia, Thailand’s nearest southern neighbour. Hua Hin does have an airport capable of accommodating international flights, which until now has been restricted to private use. But, from May 2018 Air Asia will commence direct flights between Hua Hin and Kuala Lumpur (KL). This will connect Hua Hin directly to one of Asia’s busiest airline hubs, KL, and from there, to the rest of the world. Getting around Hua Hin is relatively easy with plenty of tuk tuk’s, taxis and local buses (songthaew) that ply the main road networks. Most expats purchase or rent a vehicle, mainly when living away from the transport routes. 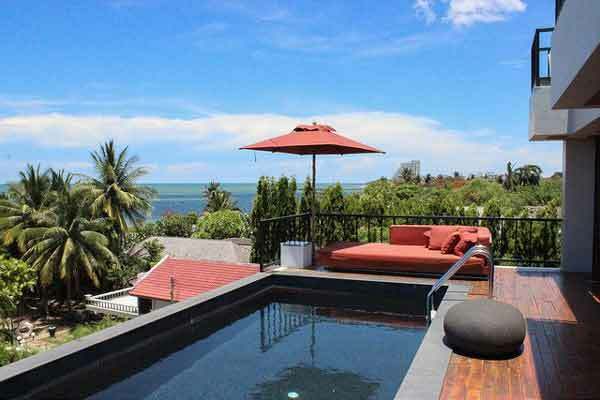 Hua Hin is a delightful mix of old and modern Thailand. Housing ranges from affordable modern vacation and residential housing to rustic Thai-style teakwood houses. 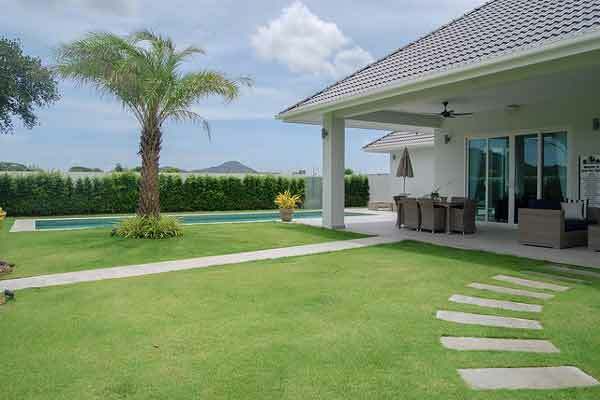 Over the last 15 years, thousands of apartments and gated community housing developments have popped up between Cha-am in the north, Sam Roi Yot in the south and into rural areas immediately west of Hua Hin. And because of this growth, it is, without doubt, a buyers and renters market. The central area or the old town is characterised by seafood restaurants on finger wharves, narrow streets, rustic teak shop houses, tailors and massage parlours. Not many expats live in the old town area, favouring locations where there is more space and a broader selection of affordable housing. For housing, most people rent—at least initially—and there is plenty of choice. One-bedroom apartments with communal pools and fitness centres, on or near the beaches, rent from $900 a month. Or you could get a small studio starting around $580 a month. Moving just a little out of town, you will find pool villas from starting from $800 a month. 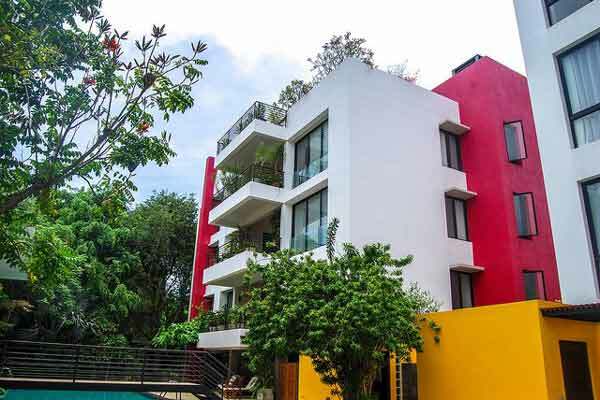 $1,250 a month would see you a fully furnished two- or three-bedroom home with a private pool and small tropical garden. Many expat couples in Hua HIn live comfortably on $2,500 to $3,000 a month—some for a little less. This is based on a couple renting a one- or two-bedroom house or apartment with rent being about one-third of the budget. This would cover an active lifestyle, eating out a few times a week, buying groceries and taking advantage of entertainment options around town. Conversely, $5,000 a month would see a couple living a very comfortable lifestyle including having many of their favourite imported goods and include dining out and travel. The Hua Hin region offers real tropical living, with daytime temperatures averaging 29 C to 34 C with the sea breeze adding a refreshing effect. The year begins with the dry, cooler season from December to March before the hot and monsoon season arrives in April. Rains ease somewhat from June to August before the most torrential falls begin in September and continue through November. During the wet season, there may be an afternoon storm every few days which calm things down a bit. In saying that, Hua Hin is one of the driest in Thailand and the rains are welcome. Healthcare in this area is excellent. Hua Hin has two private hospitals offering a full range of services and quality care along with one public (Government run) hospital. The newest private hospital in Hua Hin, Bangkok Hospital, opened in May 2011 and has already earned a reputation as the town’s premier healthcare facility. Expect to pay about one-third of what you would pay in Australia, less again if you use the public hospital. Through the clinics or public hospital a series of blood tests for a general check-up costs from $38. A visit to the dentist for a check and clean between $40 and $60 and a visit to the local doctor will set you back about $20. There is also a broad selection of smaller general care and specialist clinics, optometry and dental clinics along with a multitude of pharmacies. And let’s not forget the inexpensive renowned Thai massage, with many expats and locals considering massage a vital part of their healthcare regime. How Do I Get From Bangkok to Hua Hin? 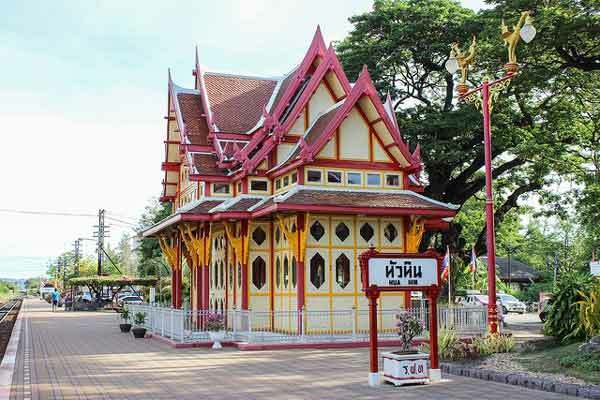 Read more: How Do I Get From Bangkok to Hua Hin? The sun is shining, the ocean is calm and a couple of small fishing boats are slowly going about their business below me. I’m checking out a 14th floor rental looking south along the beach. The window is floor to ceiling. The only thing stopping this apartment from being absolute beachfront is the 25-metre resort pool that has that privilege. How Do You Fill Your Days as an Expat? Read more: How Do You Fill Your Days as an Expat?